Just got back from a moderately eventful trip up the Dalton Highway but I’ll save creating posts for the last few days until later. 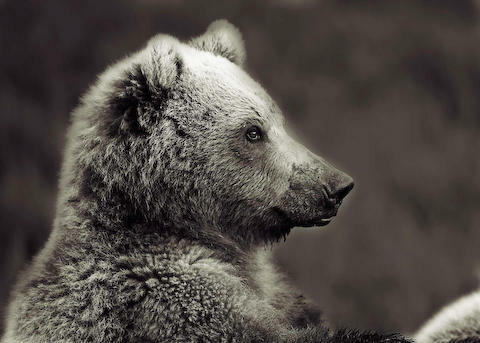 In the meantime, I converted one of my bear pictures into a “bear portrait” with photoshop! It’s a bit of a quick edit at this stage but an interesting effect with a few simple changes. You can see the original color image in my bear gallery here.